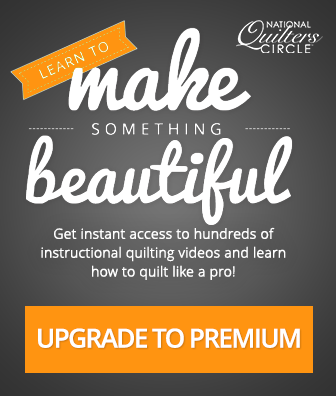 Whether you are ordering online or simply buying all of your quilting supplies ahead of time at the store- knowing how many yards of thread will be needed to quilt a quilt is an important number to know. 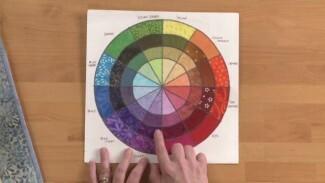 Ashley Hough shares some general guidelines for determining how much thread will be needed to quilt your next project. Before determining how much thread is going to be needed, you must first decide how large of a quilt you are going to make. If you are following a pattern, it will tell you from the beginning whether you are making a twin, queen or king size quilt. 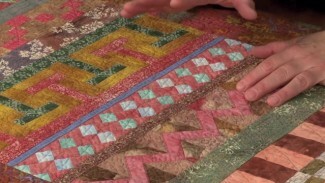 If you are making up your own design, determine what the finished length and width of the quilt is going to be. Once you have that, find where your quilt fits in terms of ‘standard quilt sizes’. While there are common quilt sizes that fit standard mattress sizes, there can still be slight variations in finished quilt sizes- anywhere from three to eight inches. After classifying your quilt into one of the standard quilt sizes, determine how much quilting you plan to do. 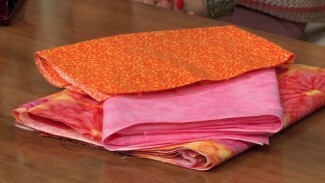 This can be anything from light to medium to heavy quilting and is in terms of how close together you plan to quilt. From there, take your quilt size with the desired quilting amount and use the chart to see how much thread, in yards, will be needed. Note that this is an approximation and you may need slightly more or less thread if your quilting does not quite fall within one of the light, medium or heavy quilting parameters. Once you know the yardage that is needed you can shop for thread. Choosing the right quilting thread is as important as choosing the right fabric, as it is what holds the layers together. A quilting thread overview will give you more information on the types of quilting threads available and what you should choose. Based on estimates I’ve seen elsewhere the amounts shown do not include the amount of thread you would need for the bobbin, is that right? Yes, that is correct. The amount of thread shown on the charts is only for the needle thread. Would the amount of thread needed for the bobbins be approximately the same amount? Yes, that is a great way to approximate the amount of thread needed for the bobbin! Isn’t there a printable valuable of the chart you show on the video? Unfortunately there is not currently a printable chart, however we will get that together and then upload that to the description area of the video. Laura Roberts teaches you how to cut novelty fabric into little squares and make it into a block. 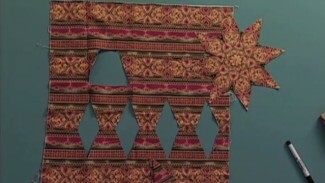 She recommends using fabric with motifs that are easy to cut out to make a block, but also shows you how to use stripes, a bias cut strip, a border stripe and templates you may have made.